You are at: Blog » Business Models » A Step-by-Step Guide: How does Postmates Work? A Step-by-Step Guide: How does Postmates Work? Postmates is an application where you can order ‘anything from anywhere’. That is what Postmates endorses, their ability to deliver not only your dinner but anything and everything else you need. This delivery and logistics company was founded in 2011 by Sam Street, Sean Plaice, and Bastian Lehmann. It has its headquarters in San Francisco, California. Postmates wanted to provide a platform to small businesses to compete with giants like Amazon. With the arrival of such online services, it has adversely affected small businesses. In December 2014, Postmates launched its Application Programming Interface for the merchants to register. This would benefit them by expanding their availability. Postmates grew immensely in 2015 and now has a large fleet of couriers delivering orders across the US. Let us see how does Postmates work & make money. We will also explore it’s revenue sources and business model. Postmates as an application connects three major groups. The consumers, merchants and the couriers. Let’s understand how all of these are benefitted from Postmates and how does Postmates work for all of them specifically. Consumers: Consumers are the end recipients and primary users of the application. They place orders and get things delivered to them in an hour. It saves time and effort to go shopping and makes ordering food easier. Merchants: Merchants of small business and restaurants get exposure through this applications. With Postmates they can reach a wider audience and scale up their sales. These merchants partner with Postmates and complete orders from consumers passing it on to the couriers. Couriers: Couriers are the people who buy and deliver orders from the merchants to the consumer in an hour. These couriers receive a notification when a consumer places an order and they go buy the items from the stores and complete the order. They receive 80% of the delivery fee and 20% is kept by the company. How Does Postmates Work For The Consumers? Here is a stepwise model to explain how does Postmates work for the consumers. This will give you a better understanding of how user-friendly it is and how it makes your life easier as a consumer. In the first step, the consumer browses the variety of stores and products available to them. They can create a cart of all the products from particular stores that are required. Once your cart is ready the application redirects you to the check out page. Here you have to make the payment for your order through various online payment options available. Once the payment is received your order is placed and you can now sit back and relax for it to come to you in an hour. Once your order is placed, a notification is sent to the nearest delivery person who is available near your location. This delivery person now has to go to the particular stores selected, buy the items and deliver them to you in an hour. All the couriers travel by either a bike or a car. The delivery person can also message the consumer in case of any delays. Step 4: Where did you reach? With Postmates, consumers can track the order live and see where the delivery person has reached yet. Apart from tracking orders, the last step also comprises of receiving orders. This will be the end of the entire cycle and tips given to the delivery person. This is how Postmates functions for the consumers. It is an easy to use application that makes grocery shopping simple. How Does Postmates Work for The Merchants? Postmates functioning for the merchants is quite simple. There is a two-step process for the merchant to receive and deliver orders. When a consumer confirms the payment, the merchant receives a notification for the order. The merchant now has to check the availability of the order and keep it ready for the delivery person. He will then pick it up and deliver it to the consumer when he arrives. Once the delivery person is at the store, the merchant has to make sure the order is handed over to the delivery person assigned to the same order and the process ends here for the merchant. How Does Postmates Work for the Couriers? This is another crucial part of the entire cycle. Delivery of the items has to be accurate and on time. This will make consumers feel value for money while using Postmates. Here is a stepwise model on how the couriers work out each order every day. Step 1: There’s an order! As discussed above, The cycle starts once a consumer completes the payment. A notification is sent to a delivery person who is available nearest to the consumer’s location. Step 2: Reach the Merchant! The courier then has to reach the stores and buy the products in the order placed. He has to make sure he has collected all the items as soon as possible. This is because he has to deliver the order in an hour. Though, the merchants keep the orders ready for the couriers when they arrive at the store. Once the courier has collected all the items in the order place he has to deliver the order to the given address. This is the final step of the order cycle. The order has to be delivered within an hour or else the courier has to inform the consumer for any delays. The courier can also collect his tip from the consumer while delivering the order. This is how Postmates works for the couriers or delivery persons. They receive 80% of the delivery fees and the rest 20% is kept by the company. These riders are the bridge between the stores and the consumers that Postmates wishes to create. How Does Postmates Pick Up Work? Postmates pickup is a feature that helps customers to skip the queue and reduce the waiting time when they want to pick up their own order. Let’s see the stepwise model of Postmates pick up for a better understanding. The first step is placing the order. The consumer selects the products he/she wants from the store and orders the same. The consumers can pay at the checkout through the various checkout options available on the application. They can also opt for payment at the store. Consumers can track their orders being prepared. The live tracking services make it very easy for the consumers to go and pick up the order only when it is ready. This reduces the waiting time to a great extent. Once the consumers know that their order is about to be ready they can reach the store and pick up their order. Tracking the order gives the consumer the opportunity to decide when to reach the store and plan accordingly. This is how Postmates Pick up work and makes it easier for consumers to skip the queue. Reducing the waiting time, Postmates pick up helps the consumers to save time and energy while ordering food. How Does Postmates Make Money? Apart from the vision and motto, profits are why businesses are running our world. It is very important for any business to make money and gain profits. Here as we talk about Postmates, let’s see what is its revenue model. In the following section, we’ll find out how does Postmates make money and generates revenue. The major source of revenue of Postmates is the various types of fees it charges from the consumers. Here is an in-depth analysis of the various fees charged. The primary source of revenue of Postmates is the delivery fees it charges to its consumers. 80% of the delivery fees charged by the company goes to the couriers and 20% is kept by the company. This is 4:1 model of the distribution of the delivery fee. On each order, Postmates charges a service fee between 9-19.99%. This is charged for the smooth functioning of Postmates. This is not shared with anyone. While ordering from Postmates if your cart value is anywhere less than $12, a nominal fee of $1.99 is charged. The company this is charged so that the consumer can have access to whatever they want on their doorsteps. You may also like Decoded: How does Discord Make Money? Postmates has a dynamic pricing algorithm. This increases the price by a multiple when the number of order surpass the number of couriers available. Blitz pricing becomes a great source of incentive for the company for making available to every consumer’s needs. Postmates unlimited benefits the consumers with it’s amazing offers. It compels them to order from Postmates because of the subscription which in turn increases business. This gives the company loyal customers. Postmates expands the customers base for restaurants and stores exponentially. When people can order online, distance plays no role. Hence, increasing the demand. The restaurant doesn’t have to worry about the credit card processing fees as all the payments are processed by Postmates. Restaurants can better concentrate on their core work as the delivery is outsourced to Postmates. The company charges about 15-30% commission on the pre-tax amount of each order. This varies according to the expansion of customers provided to the restaurant. This commission is only for the partner merchants. For the non-partner merchants, this gap is filled by the high service fee paid by the customers. The company has a unique API which allows merchants to utilise the delivery service provided by Postmates. This feature lets the partner merchants deliver their products to the customers within the Postmates’ delivery area. Business giants like Instacart, Walmart, Starbucks have come together with Postmates’. It is mainly to use their fleet of couriers to deliver their products. This another great source of incentive for the company. This also benefits the other party by handling their entire delivery system. This is how Postmates works and how Postmates makes money. 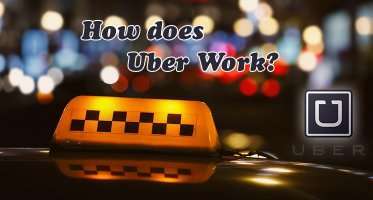 This gives us a better understanding of the working of the business and its revenue model. 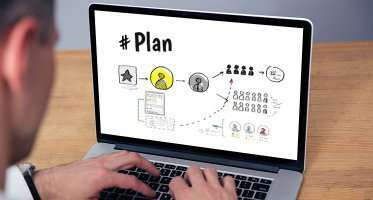 It is very important to understand both of these carefully before finalizing a similar business of your own. How to Start a Website Similar to Postmates? 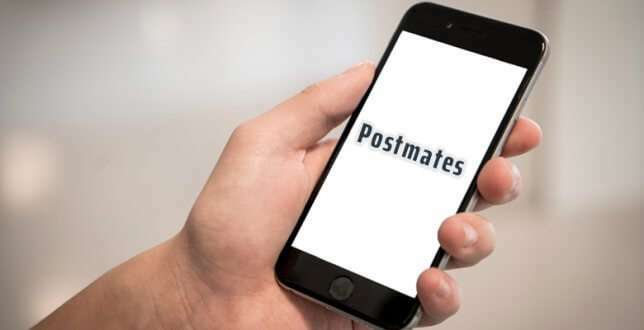 If you are attracted with How does Postmates Work and How does Postmates Make Money and also want to develop an on-demand platform similar to Postmates then take a look at a customizable ready-to-go Postmates clone script for your start-up. What is your opinion regarding the article How does Postmates Work? And How does Postmates Make Money? Tell us in the comment section below. You may like to read other blogs from the on-demand category. ← Revealed: How does TripAdvisor Make Money? sounds like It is an easy to use application that makes grocery shopping simple..